I took a break from packing to get a little crafty. 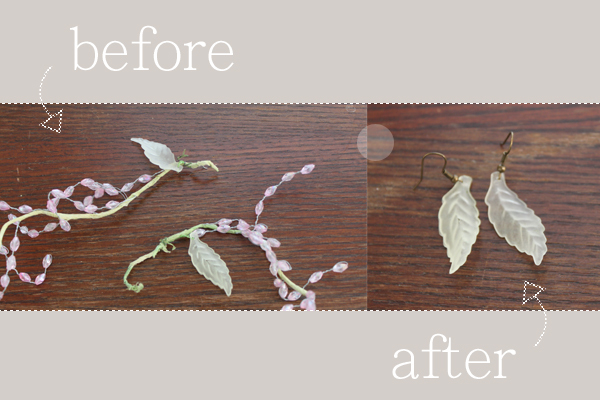 I've been using this floral wire as a decoration on my light fixture since my college dorm days. It's survived a few moves, but this time I decided to part with the little pieces. 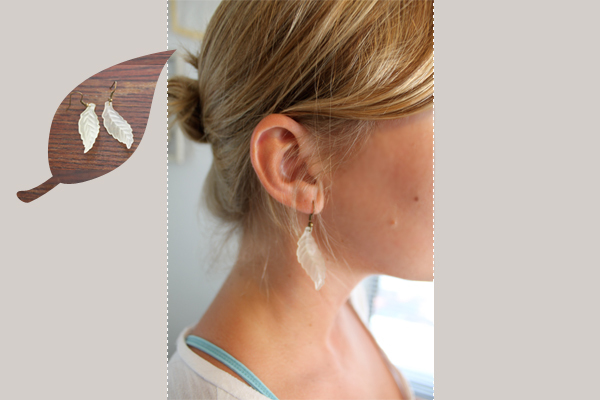 Instead of the trash, I found a quick way to turn the pretty glass leaves into earrings. It was so easy. 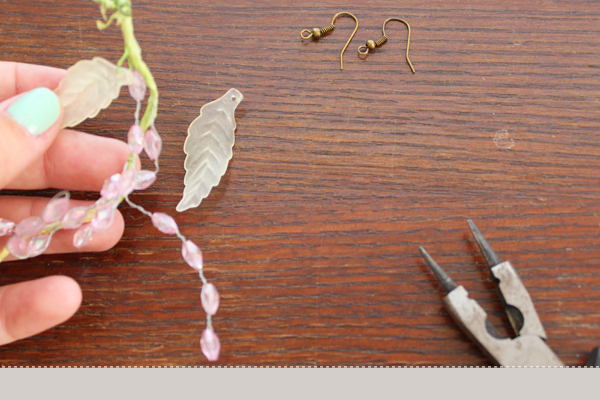 I removed the leaves from the wire using a jewelry tool, opened the ear wire and added the glass leaf. Close it up and voila! and on another note, your blog is fabulous! i LOVE the look you have going on, so clean but so pretty. Pretty! And so resourceful! Love your blog! How cute are those. Love them!! Thanks all. 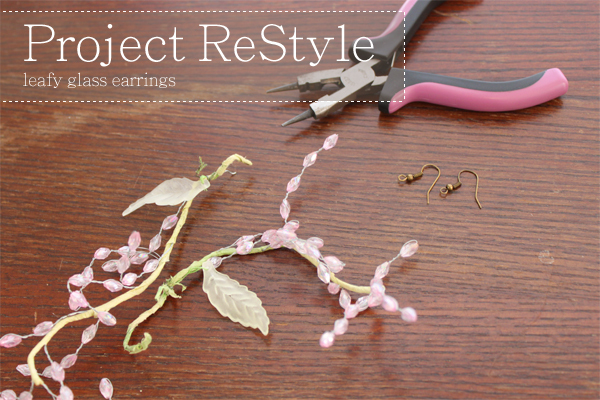 This restyle was so spontaneous and so easy.